I know I have posted this photo before, but I have never seen it in color this large, so I am posting it again. 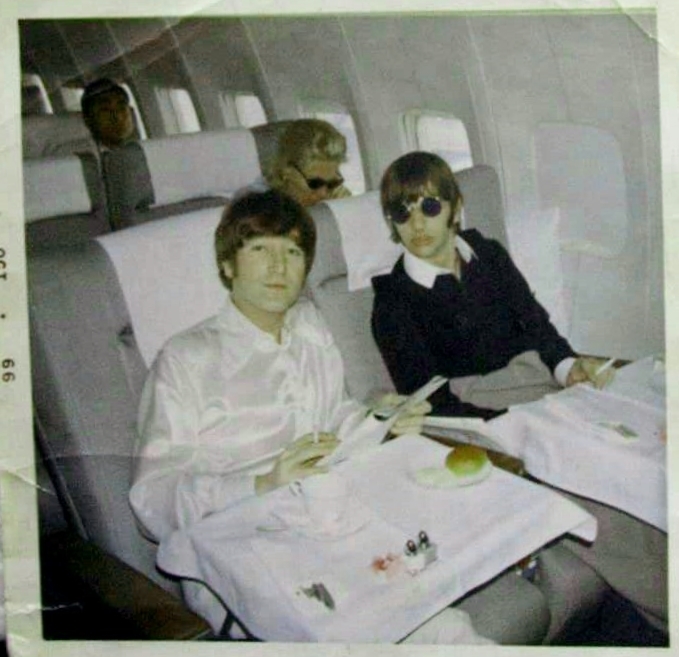 The Beatles are flying home from the 1966 North American tour -- never to fly to American together again. Ringo and John are sharing a row and having a meal on the flight. What do you think they were talking about?